When you purchase a SISU mouthguard, or any protective gear for that matter, you expect it to keep your body safe from injury. So, how do you ensure long lasting protection out of your mouthguard? The key is to take care of it. Here are some tips to help you keep your mouthguard protective all season long. If it’s hanging out of the side of your mouth (as seen in the NBA), how can it protect your teeth? Using your guard like a chew toy might seem like a hard habit to kick, but chewing can leave your teeth vulnerable to injury. 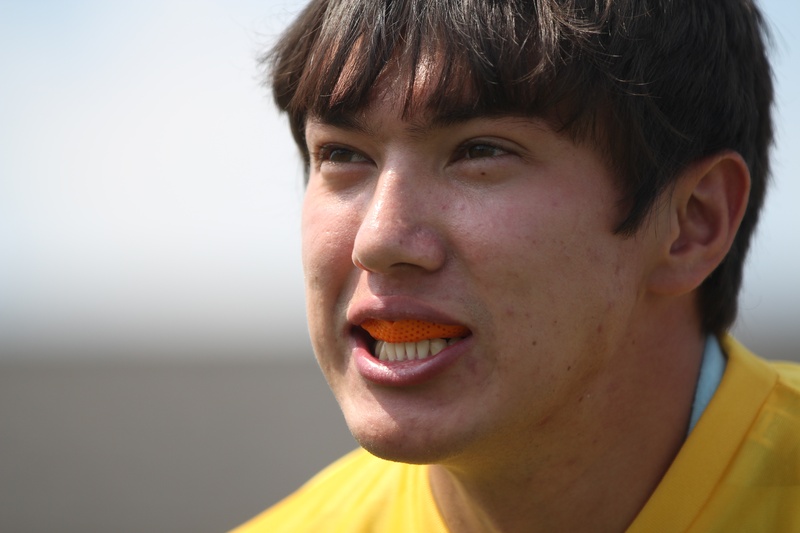 Chewing on your mouthguard is a sign that it fits loose in your mouth or is uncomfortable. No matter which sport you play, the American Dental Association recommends using a mouthguard that fits snugly the entire game or practice and allows you to talk, breathe and drink with ease. A mouth guard is the ultimate habitat for microorganisms to live in. The dark and moist environment of your gym bag is where mold and bacteria thrive. Even your SISU Guard, which minimizes the growth of bacteria in your mouth, still needs a good bath. Remember to clean your guard with soap and water, toothpaste or other non-alcohol based cleaners, such as Fresh Guard. For conventional mouth guards, such as boil and bites, it’s sometimes necessary to trim the guard to get the right fit. This is not the case with the SISU mouthguard. Since the SISU is so streamlined, trimming it will destroy the crumple zones and perforations needed to dissipate the force away from your teeth (Diffusix Technology). Lockers, duffle bags, your car cup holder are prime locations for bacteria to hang out. Your mouth guard will stay a lot cleaner if it has it’s own space. Use an anti-microbial mouthguard case to prevent it from damage, germs and getting lost! Don’t be surprised if your SISU guard goes back to flat after a long day on the dashboard of your car. Most mouthguards, including SISU, are fitted using heat. When exposed to high temperatures they can start to look a little floppy. Luckily, SISU is remoldable. Just put it back in the hot water and fit again! Unfortunately, nothing lasts forever. This includes your mouthguard. The full dental warranty on your mouthguard runs out after a year and even despite your best intentions at cleaning the guard, it may become a little gross after prolonged use. We recommend getting a new mouthguard every season, or at least once a year.